Perceptions may not be as bad as reality in post-conflict Libya. Hundreds of billions of dollars are expected to be spent in the cash-rich country in coming years; westerners are welcome in Tripoli; security has improved, and organizations from the UK’s department of trade and industry (UKTI) to in-country consultancies are keen to highlight the business opportunities in the North African state. They need the help. Production from the country’s on and offshore oil and gas fields has returned to nearly post-conflict levels of about 1.6mmboe/d. However, a lack of international service firms returning to Libya to bring in up to date technology as well as new rigs to replace those lost in the crisis is hindering plans to further increase production. Angus Jackson, Libya market specialist at UKTI, which has an office in Tripoli, said: “It is easy to lump Libya into a post conflict environment category. The reality is quite different. Tripoli feels like a normal functioning North African country. “There is very little war damage to see and it is very welcoming to westerners. In Misrata and Benghazi there is a great deal of development. Jackson said some $200 billion of spending is expected in country in the next 10 years – “10% of that should be opportunities for UK companies,” he said. Tens of thousands of contracts are also being re-examined to see how competitive they were, creating further possible opportunities. However, international oil companies and service firms have not flooded back into the country since overthrow of Dictator Muammar Gaddafi. The slow return of companies to Libya has meant routine and non-routine work on oil and gas installations has not been conducted, impacting the country’s ability to maintain production levels, said Ibrahim El Mayet, country manager at ie. Consultancy, a business development agency for Libya. The NOC’s last published production targets were 2.1mmboe/d by 2014 through increased drilling activity and investment in currently producing fields. “But given the issues with maintenance and lack of international companies providing services the target looks ambitious,” Mayet said. The NOC also had an aim to increase recovery rates from the average 35% by 10% in the near to medium term, but lacked the partners with up to date technology to do that, he said. There are a number of issues, in addition to security concerns. Jackson said Libyan ministries were sometimes staffed with people who may not quite have the experience they would need and that patience was needed. Companies also needed to make sure they were speaking to the right people – or they could be wasting their time. Despite the encouragement of UKTI, which has run more than a dozen inward and outward trade missions in Libya in the past six months, the Foreign Office still advises against travel to the country. Mayet said this advice did not reflect the actual safety of Tripoli and also meant companies struggled to get travel insurance. Currently, it is unclear what legal framework companies will need to meet to operate in Libya. Previously, joint ventures – the structure required to operate in country – needed 65/35 ownership in favor of foreign firms. A new resolution has proposed changing that to 51/49. But two years after the start of the uprising, the country is on its second interim government, leaving decisions on issues like legal frameworks unfinalized. However, Mayet said political instability was more of a perceived risk than a reality. An issue putting pressure on the NOC is calls from eastern Libya for it to be relocated to Benghazi, where it was historically based (having been founded out of General Petroleum Company in 1968) before the Gaddafi regime relocated it to Tripoli, Mayet said. Moves to relocate core departments to Benghazi were met with protests and now a proposal has been made to split the company into two, with the upstream business based in Tripoli and downstream in Benghazi with both having offices in each city – some 1200km apart, he said. The issue has resulted in protests and strikes, impacting the industry and production levels, Mayet said. Workers are also demanding equal terms and conditions to foreign nationals and for benefits for revolutionaries, such as medical equipment or aid. In addition, it is looking likely that the NOC’s budget will decrease this year, as focus on spending moves to water, power and road infrastructure. For IOCs, working in Libya is based on joint ventures or EPSAs – exploration and production sharing agreements, with the largest operator being Italy’s ENI, which is also the biggest buyer of gas from the country. However, this system, set up in 1955 with EPSAs brought in in 1974 with notoriously tough terms, is now under review, Mayet said. The tough terms may account for Libya being still relatively underexplored for hydrocarbons, even within already granted concessions. Gas reserves are estimated at 54.7 Tcf. Production is about 2.3bn Tcf, with 850mm Tcf of that sent to Italy. The EIA has estimated it has the eighth largest gas deposits in the world with large shale deposits. 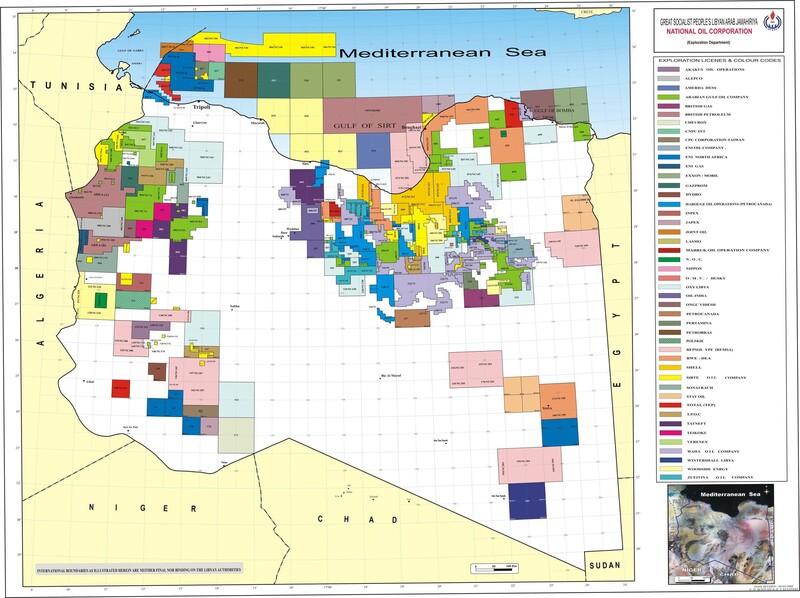 There has been speculation that there will be a new licensing round, an EPSA 4, Mayet said, and it was recently reported that Polish state oil and gas firm PGNiG expects to start drilling its first Libyan exploration well next month, according to Libya’s national oil corporation. But since the attack on BP’s In Amenas plant in neighboring Algeria, appetite to explore had raised security concerns. However, Mayet again said the perceived risk was worse than the reality, despite Libya’s border’s being “infamously porous”. Since the In Amenas attack earlier this year, Libya and Tunisia had signed an agreement over border security and a force of 2,500 tasked with security at oil and gas facilities had been increased by 10,000, he said. More generally, the main security issue was that the Supreme Security Committee. Set up in 2011, it is a coalition of militias working under the ministry of the interior. However, the ministry does not have full control over it and that while most of the time these militias were a “force for good” they would sometimes “go their own way under local leadership”, Mayet said. Security advice firm AKE said the biggest threat to foreign personnel working in Libya is in fact road traffic accidents, followed by petty crime. Alan Fraser, AKE’s Libya specialist, said: “The major factor effecting Libya right now is a lack of a centralised security force and a prevalence of unaccountable local militias, mostly in rural areas. Companies are still cautious. On the second anniversary of the uprising in February this year Doosan Power Systems pulled non-core staff out of Misrata as spirits ran high. Fraser said there had been rising crime, according to recent government statistics, but this had been against a back drop of very low crime rates before the revolution. In Tripoli, the presence of security forces had increased, but “was still not quite there yet, but on the right track”. Benghazi, where US ambassador Chris Stevens was assassinated, was less secure but the highest risk was again road accidents with no precedent for foreign workers being attacked, he said. In the oil regions security is run by untrained militia, with “a degree if unprofessionalism” – such as disregard for safety procedures – but this was mostly just disruptive rather than a threat, Fraser said. In the Murzaq basin there was a lack of security presence. Sirte was more stable, being isolated “in a good way.” At al Kufra there was intercommunal violence and a lack of security. Despite the issues Libya wants to appear welcoming. It does need help – and patience. “We cannot do this alone, we need international companies to come in to Libya,” Mayet said. A member of staff from Doosan who works in their Libyan team said it may take two years for things to settle in country, but that being there now was to right thing to do. ~ by FSVSF Admin on 5 April, 2013.